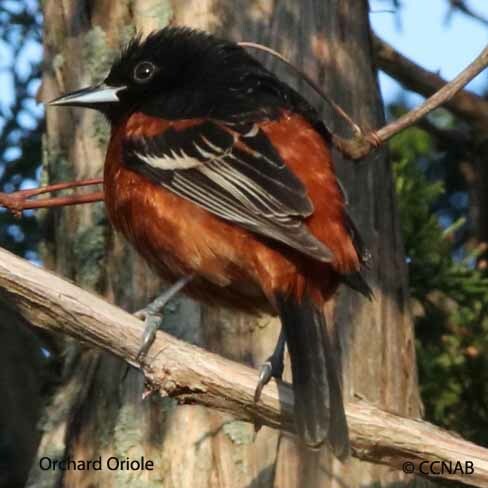 Species: The Orchard Oriole (Icterus spurius) is found throughout most of the southeastern regions of North America. Prefers habitats with open woods, parks, orchards and rural areas. Familiar with people and dwellings and may be approached without alarming the bird. 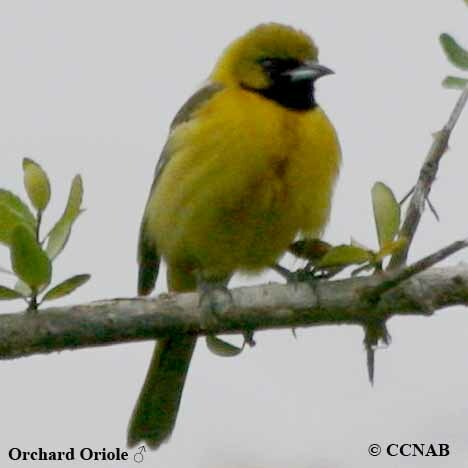 Distinctions: Sexually dimorphic, the male has a black head, back, wings and tail feathers. Body and scapulars are burnt orange. Females and juveniles have greenish upper bodies, with yellow under parts. Young males are very similar to the female's colours, but will show a small darken bib in the throat region. 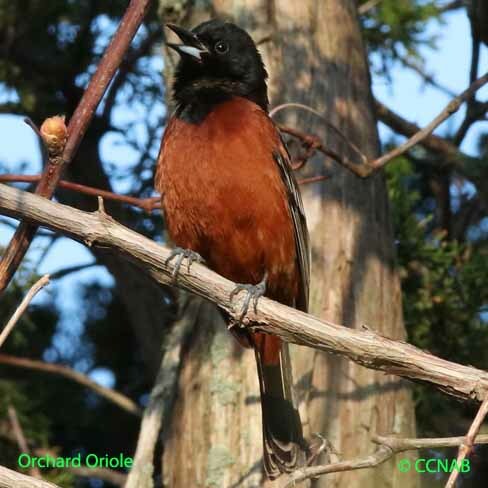 Voice: Sound resembling types of whistle, notes are not as fluent as other oriole species, lyrics fall into chattering notes. Nesting: Four to five light grey or blue coloured eggs, with purple squiggles throughout. 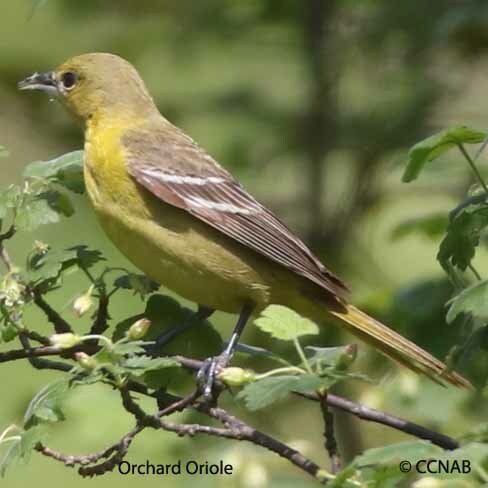 Builds enclosed nest similar to other species of orioles, made from grass, plant fibres and man made items such as string or cord. Nest is attached to a branch or a limb of a tree, where it hangs and is able to sway in the wind. 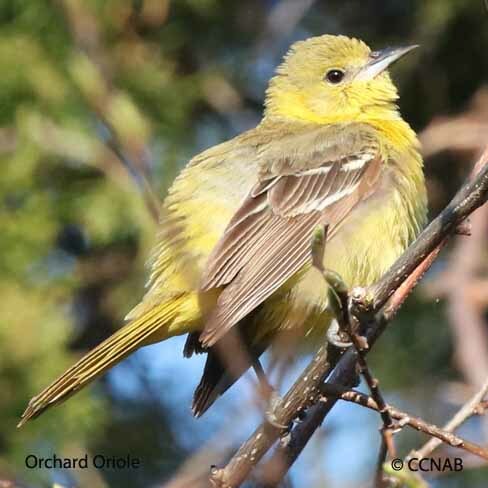 Distribution: Found throughout wooded areas, parks and orchards, seen from Maine through southern Ontario, into the northern US states, up into the southern parts of the prairie provinces as far as Saskatchewan, then down into New Mexico and across into southern Florida.